This week, the Professional Coin Grading Service announced that they would provide a $5,000 for the first collector to send in a new 2019-W Lowell National Historical Park quarter. By Friday, PCGS announced that two people won the prize. Each will receive $2,500. During the week, I had two occasions to go to the bank and purchase rolls of quarters. Even though I asked for new rolls, most of the quarters I received were either from 2018 or non-W mint quarters from 2019. In the shop, I checked every quarter received for payment and when I received quarters in change. The competitive side of me wanted to be the first, or amongst the first to find one of these quarters. Even after running errands earlier today, I did not find any coin struck in 2019. 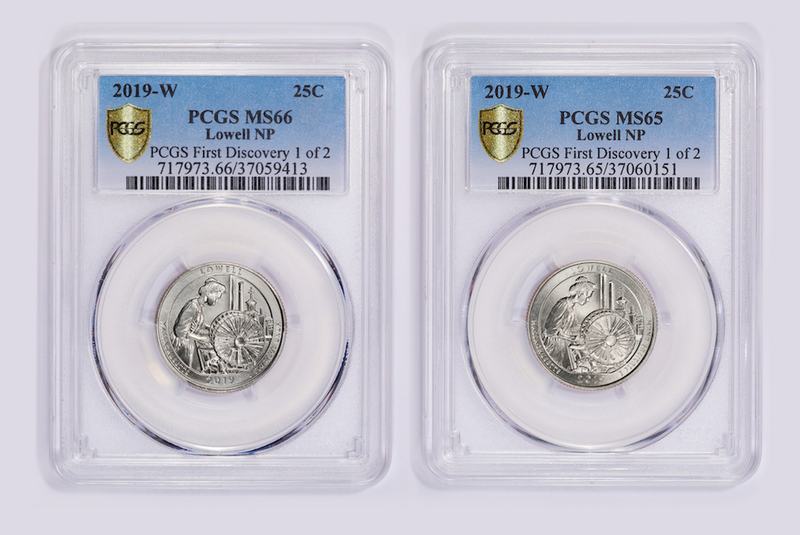 PCGS is still rewarding those who find the W mint quarters with special labels and cash prizes. Even though the top prize was claimed, I want to find one in change!